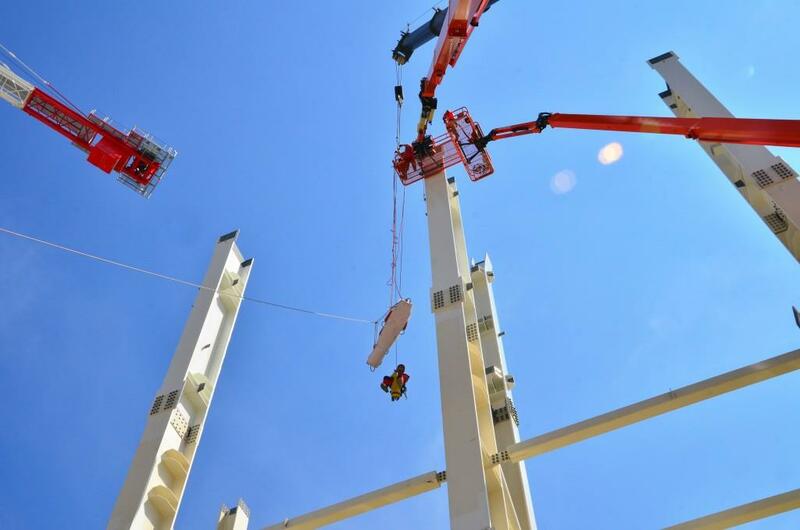 Forty metres above ground, in an aerial lift, a worker suddenly feels sick and loses consciousness. His colleagues on the ground immediately realize that something is wrong, but a technical incident prevents the lift from being operated at a distance. The worker is stranded, alone, without anyone knowing how serious his condition is. The drill, which mobilized some 20 participants, demonstrated the ability of in-house and external teams to coordinate their action into a fluid and efficient response sequence. The ITER worksite might one day face such an emergency and everything must be in place to manage this type of situation swiftly and efficiently. 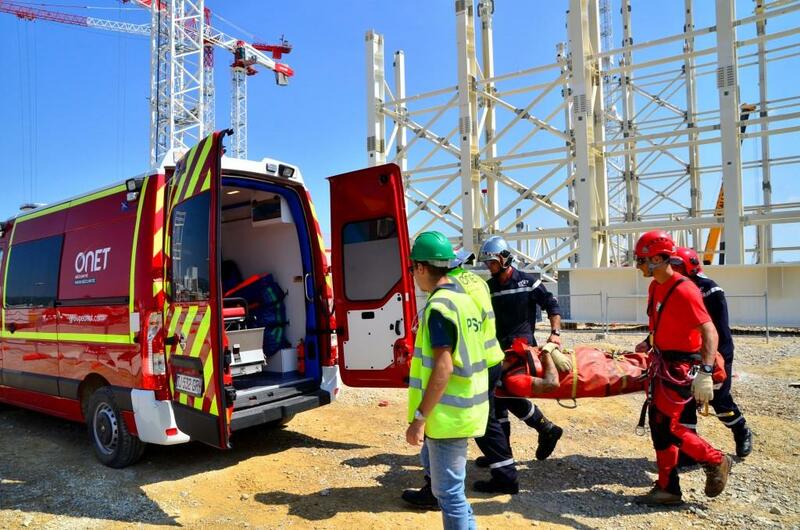 That's why, on Tuesday 9 June, a security drill was organized on the ITER platform to test the response capacity of the different teams that intervene in an accidental situation. 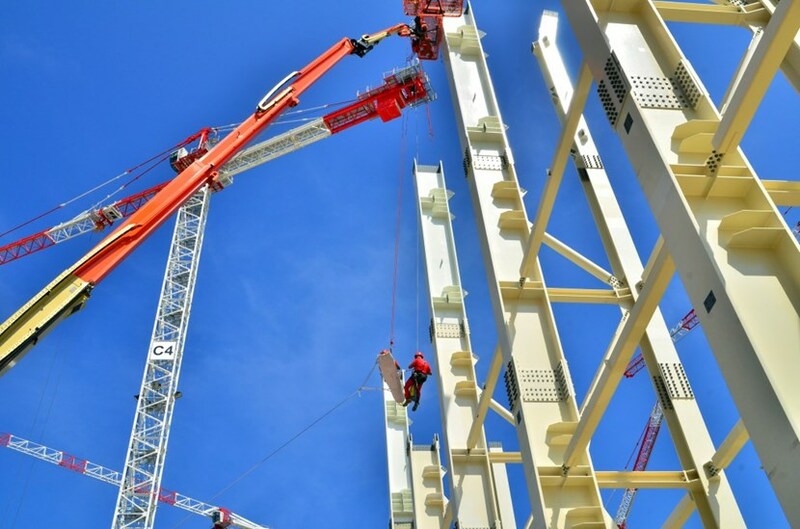 "The drill scenario, elaborated jointly with the people directly responsible for worksite safety, multiplied the technical constraints," explains Christophe Ramu, acting head of ITER's Security, Health and Safety Division. "The high pillars of the Assembly Hall form one of the most inaccessible environments of the worksite, one that can only be reached by air lift. But air lifts can only accommodate a small number of people. And we added a further complication to our exercise—a technical problem, which prevented the air lift from being operated from the ground." The "evacuation drill" began at 9:30 a.m. As soon as workers on the ground noticed that something was wrong, they placed a call to the ITER Security Command Post. The number for this post, which is manned around the clock, is inscribed on the back of all ITER access badges. The Security Command Post immediately transmitted the information to the on-site Emergency Response Team and to the worksite nurse, who both rushed to the site of the accident. Security guards were placed on the alert to be ready to welcome external support teams, if necessary. "By this point in the exercise," says Ramu, "we already had an idea of the situation and of the difficulties we were faced with." The local fire brigade paramedics in Saint-Paul-lez-Durance were alerted and asked to bring in a specialized unit called the Intervention Group in Hazardous Environments (in French, the acronym GRIMP reads like "CLIMB"). The unit's members are experts at rope climbing and evacuation. 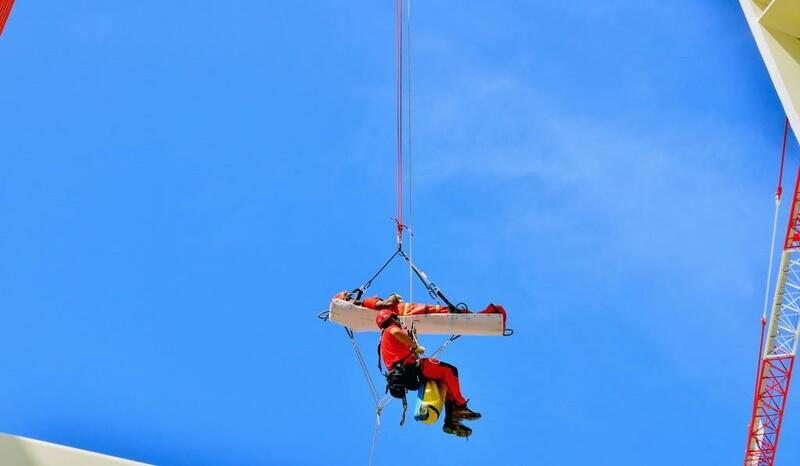 While the specialized unit was on its way, the Emergency Response Team had reached the stranded worker in a second air lift. 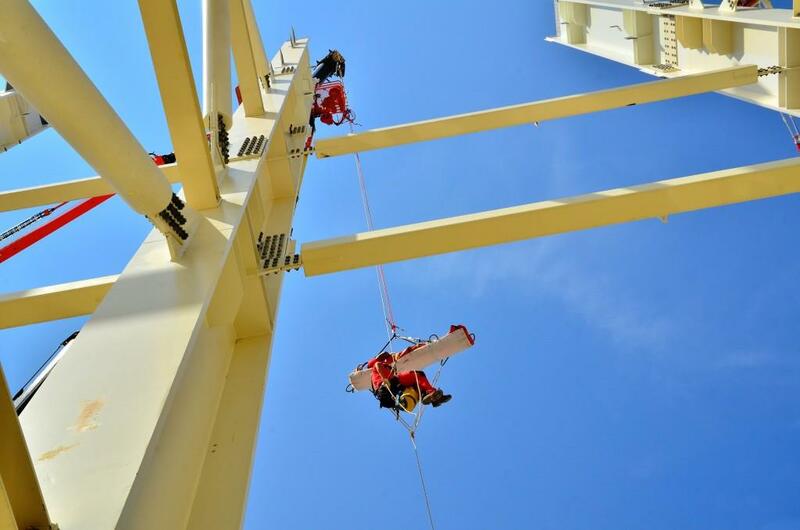 Their mission was to secure the worker and to assess his condition. The worksite nurse followed to perform the first response actions needed to stabilize the victim. 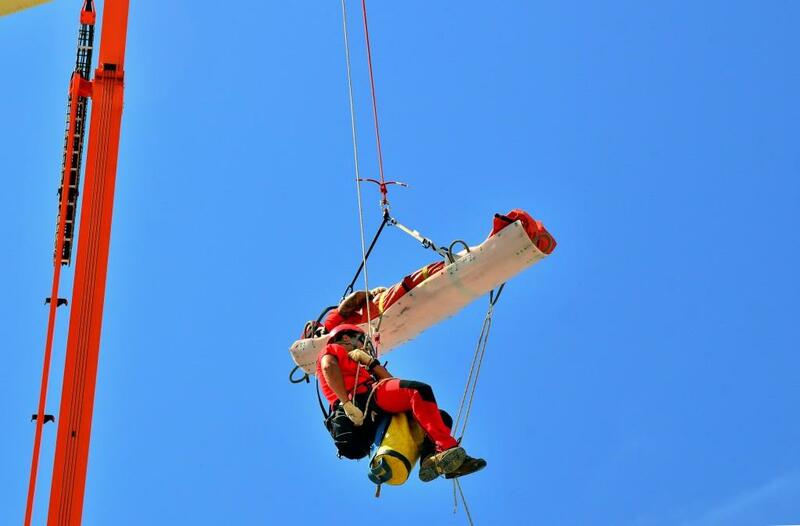 By then, the experts in rope rescue had arrived. Their job consisted in transferring the victim onto a rigid "scoop" stretcher; the stretcher was then slowly lowered to the ground by crane, with a member of the GRIMP team, attached to his own rope, present the whole time. More than two hours had elapsed between the first alert and the victim's evacuation. 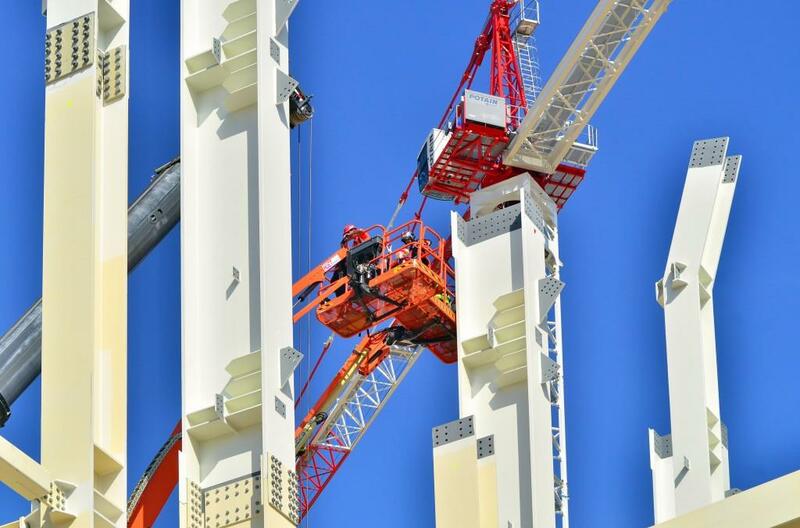 "This might seem like a long time," says Bertrand Portehault, Health and Safety Protection coordinator at APAVE, the company responsible for safety on the ITER worksite. "But the accidental scenario we created was deliberately delicate and the techniques were quite time consuming. The most important thing is always to secure and stabilize the victim in the minutes that follow the incident." In construction work, national statistics show that the ratio of accidents per number of hours worked is 45 per million. On the ITER worksite it is four times lower. But accidents do happen and everything—like last Tuesday's spectacular drill—must be done to mitigate their consequences.